Founded in 1965, Subway is a privately owned fast food chain that primarily sells sub sandwiches, as well as salads and other food items. All Subway restaurants are franchised and the company only employs a small head office staff. Currently, Subway has more than 40,000 restaurants operating in 102 different countries. In the U.S. alone, the company serves nearly 2,800 sandwiches every 60 seconds. Subway has traditionally grown through its flexible franchise model and surpassed McDonald’s as the number one fast food restaurant in the U.S. in terms of store numbers. Subway franchisees can choose from a variety of traditional and non-traditional locations. Compared to other fast food chains, Subway allows franchisees to open a very small or a large restaurant from 160 to 2,700 square feet. The restaurants can be with or without seats, in a mall, a hospital, a university, as a drive-thru, or as a free-standing restaurant. It is the franchisees’ responsibility to find the location of the restaurant. Joorney Business Plans offers a comprehensive location-based market analysis to meet the various needs of Subway franchisees. 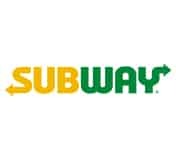 The initial investment for establishing a Subway franchise business ranges from $89,550 to $328,700, depending on the size, construction costs, and the equipment needed. The Subway restaurant business can be started with a minimum equipment investment depending on the restaurant’s size. The Subway license is purchased as a one-time fee of $15,000. The license entitles franchisees to carry the trademark, to open up a Subway restaurant, and to have unlimited access to everything there is to know about the Subway brand. Once the restaurant has opened, franchisees pay 8% of the net sales as a royalty fee. In addition, 4.5% of net sales go into the national marketing budget. Joorney Business Plan writers have extensive experience in developing long-term financial projections for Subway restaurants. The aim of the Subway marketing campaigns is to drive profitable sales for Subway franchisees. Franchisees actively participate in the running of the franchisee advertising fund and receive help to conduct local marketing activities. Over the past decade, Subway significantly boosted its marketing campaigns and has been at the forefront of advertising toward a healthier demographic. Subway constantly works on creating new products, optimizing processes, and developing new decors. Joorney Business Plans writes marketing strategies that are in line with the franchise agreement. The franchisor offers an equipment leasing program to most franchisees in the U.S. Subway deems the equipment lease to be a true lease and not a financing lease. Equipment leases are written for the term of five years. The franchisor also offers to finance $10,000 of the initial franchise fee under its minority loan program for qualified franchisees purchasing their first franchise at the full $15,000 franchise fee. In addition, Subway may loan money to franchisees in connection with a Subway restaurant. The terms and purposes of these loans are negotiable. The franchisor may change or eliminate these loan programs and equipment leasing program without any prior notice to franchisees. Joorney Business Plan writers can develop in-depth, long-term financial projections in line with the leasing or loan agreements with the franchisor. All Subway franchisees have the advantage of a well-proven system that has been working for over 50 years. Due to the popularity of the products, the Subway system is a welcoming opportunity for a successful future. Joorney Business Plans have worked on hundreds of Franchise Business Plans with Franchisors as well as their Franchisees! Our writers can also tailor an existing masterplan to the needs of a new franchisee by modifying the market analysis and financial projections based on the variables of the new location.